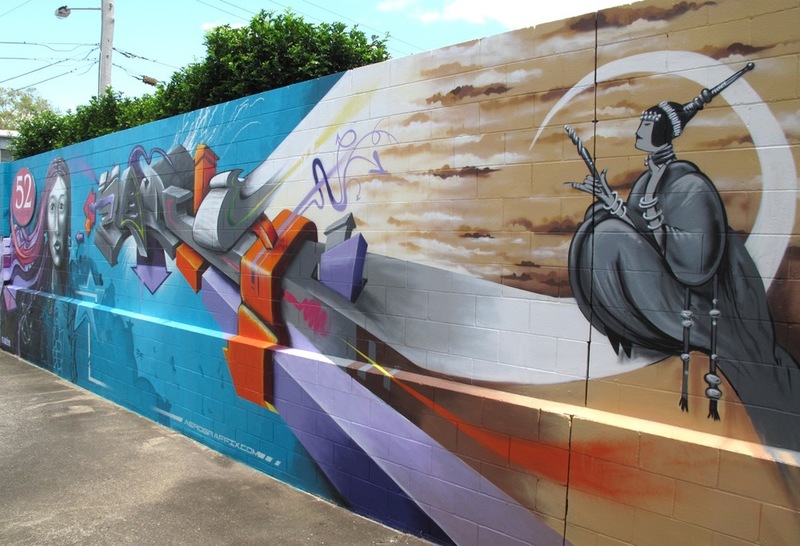 Recently I have been creating a mural on Vulture Street, West End. The folks at Cowlishaw & Son have entrusted me to funk up the fashion warehouse walls of the third generation business. Their hospitality, an open approach to design, along with so many fabulous comments from pedestrians have all contributed to a very enjoyable experience.